I think they'd be a great collectible for sector members. I'm a member of the Star Wars 501st and we get these made all the time for our club. The site above is very good and reliable, I've used them many times. We would need to get sample artwork locked down before we submit. So if anyone has ideas let's see them and we'll go from there. I'll post some up as well. The coins can have artwork on both sides. We will need a minimum order to proceed, usually the minimum for a run is 100, and the coins will be around $5 give or take. If interested, please post so we can start gauging interest. I know I would be interested in purchasing one!! As for artwork, I can't draw worth a pile of cubes, but I think the obvious choice would be disks. 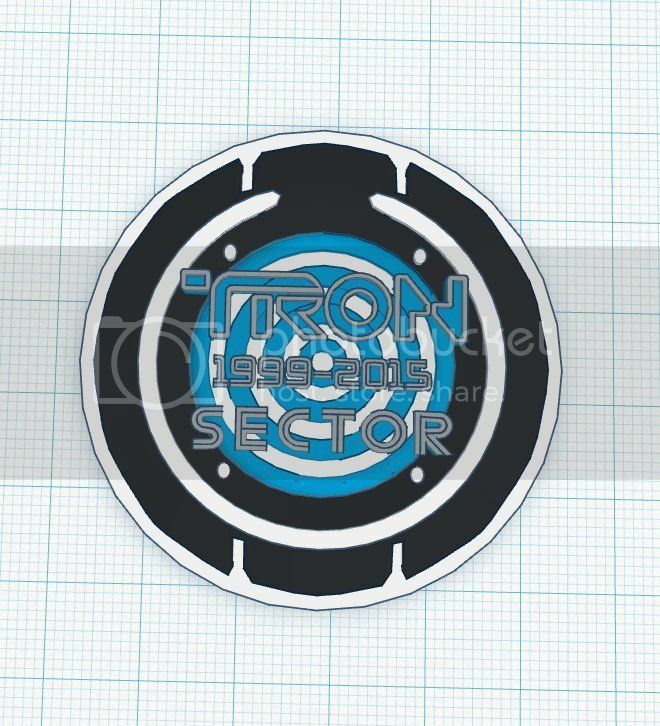 Maybe something with the Legacy style disc on one side, and the classic disc on the other, with the Tron Sector logo, as it appears in the headers now, over top on each side? I'd be interested in one also. I might have a sketch or two that might be worthy, but I'll have to look. Thanks guys! Yeah I was thinking about the new and old discs on both sides as well. I have a buddy of mine who does top notch artwork for coins and patches in the 501st, I've already reached out to him about doing some artwork for this. Also, just as a reminder, we need to make the 100 minimum mark so the more interested the sooner we can get it done. I'm in for at least 10 myself. I'll update the first post with a list. Please post how many you are willing to buy. Also all funds will go towards these getting made. Thanks! They would be plastic, although there are metallic materials such as bronze-fil and copper-fil I could possibly obtain. Let me know. That would be awesome BigE! If we can't get the interest for the minimum 100 for the metal coins, this would work great, and in all honesty there may not be that many active members still around to meet that minimum. Let's start seeing some designs guys! I will work on a couple prototypes I'll try to have something to show later today. Black and white, 2 color images will work best. Grayscale and full color images will work too, but will take extra steps to convert to extrusions for 3d printing. brightness of the portions of the image will determine depth in the relief. the more complicated the artwork, the less detail there will be in the finished print. SIze of the artwork isn't an issue, but I would ask that the higher the resolution, the better. Vector file formats are preferred, as they are easily scalable, but I can pretty much work with anything. Post up the images (or links) in this thread if you want them considered. Of course, the larger the finished coin, the more detail there can be. currently, I am working on making the prototype 1.5", I can go to 2", but any larger will consume more plastic, take longer to print, and make the end-result more unwieldy. I have a design for one of the sides I'm working on, I really want users here to contribute for the flipside. I've also considered adding a QR code to the coin that links to the site. let me know if you like this idea. I would like everyone to help out with the text. Once we come to a consensus, it will go on the finished coin. 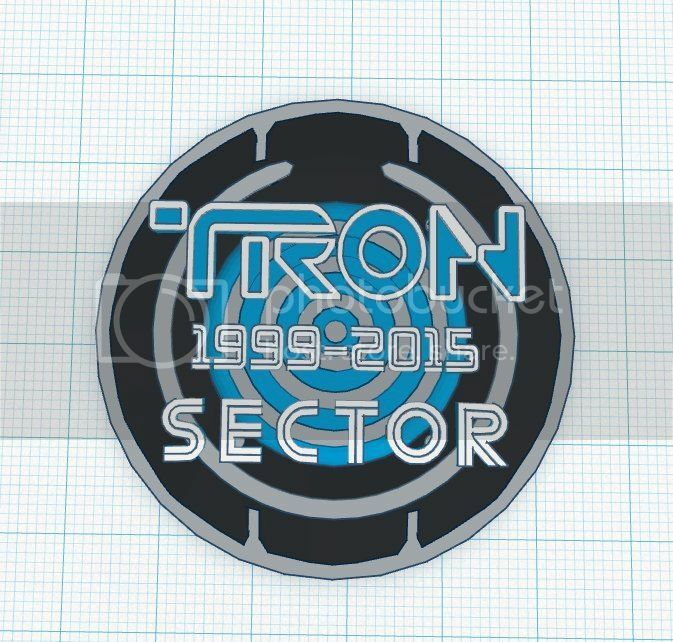 I will be doing either a two or three-color print for the coin. base will be black with details in other colors. Dimensions are 50.8mm (2") diameter and 5.34mm (0.2") thickness. I realize many people wanted to incorporate both classic and legacy discs into the design, so this should work nicely. 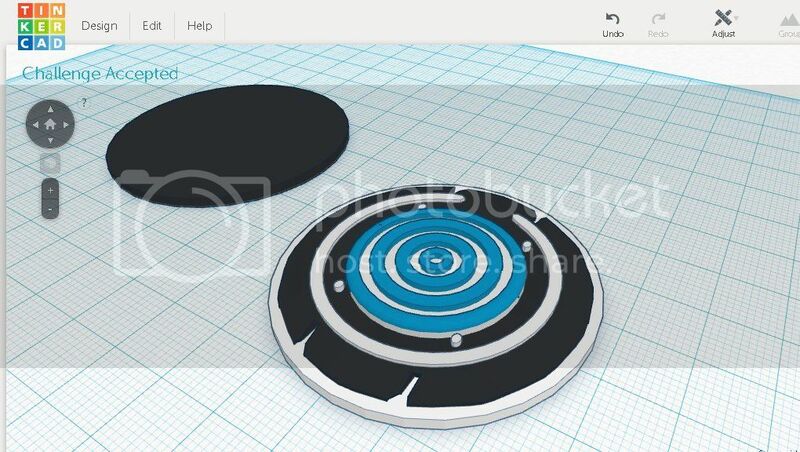 Face of the coin will be three dimensional. The tails-end of the coin will be a standard relief like a traditional coin. I'm good for two or possibly 3. 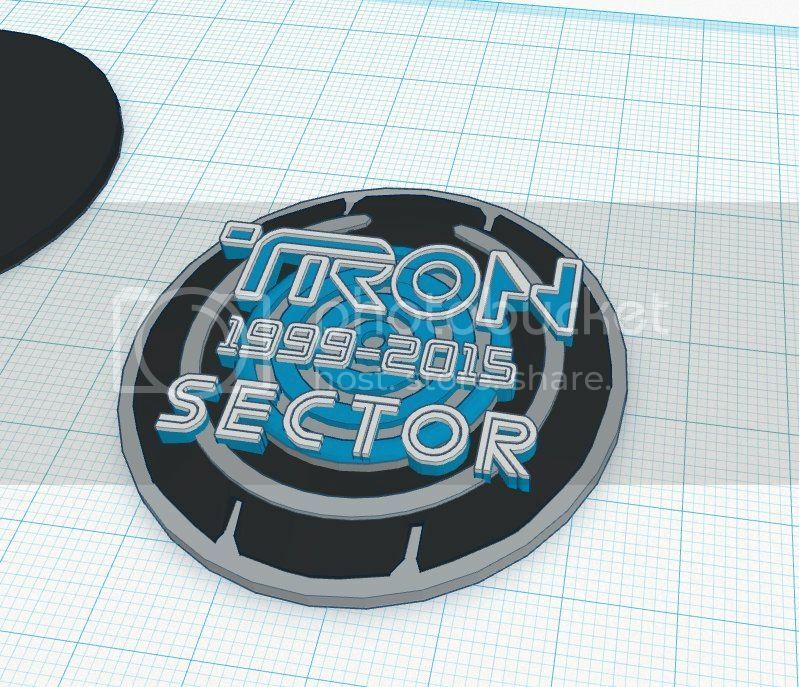 I really like the idea of something representing the original Tron movie on one side and Tron Legacy on the other. 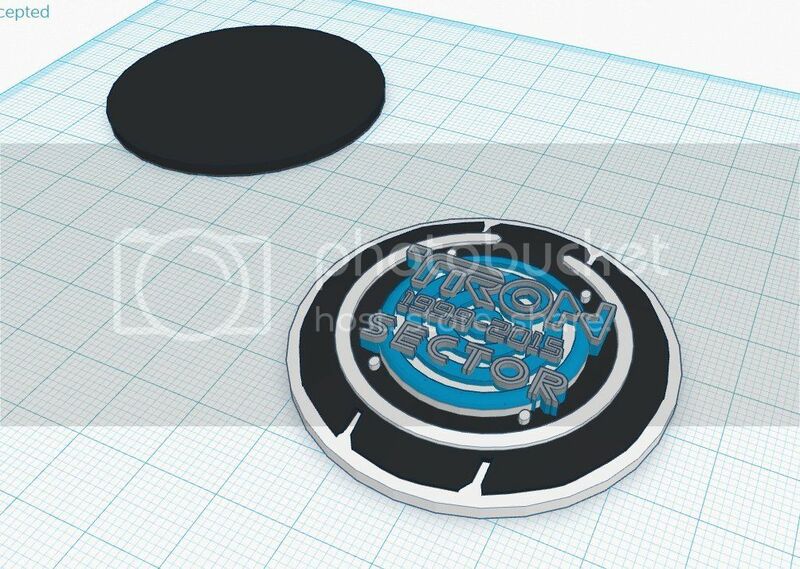 I'm not real excited about a tron coin that has a picture of the disc (old or new) on it, only because I am sort of suffering from "disk burnout". I've collected all the discs I am aware of, had some modified, and have at least 6 different pins/badges with discs on it, as well as at least a half a dozen other disk keychains, posters, books, etc. I just think another "disc coin" isn't that exciting. I'd rather see some cool artwork on both sides (even if the artwork included a disc LOL!). So... Is there any chance we can do some kind of "voting" on the design before we commit/pay? I was hoping there would be a consensus beforehand. Your opinion is noted; I'd like to hear more people chime in. also, some submissions would be nice. BTW, your image didn't show up. I tried copying the link, but I apparently can't view it. The grey portions of the text would be printed in silver. trying to keep the design representative of the layers in the print itself. I'll be working on some alternate designs as well; when they're done, I'll post them in this thread. 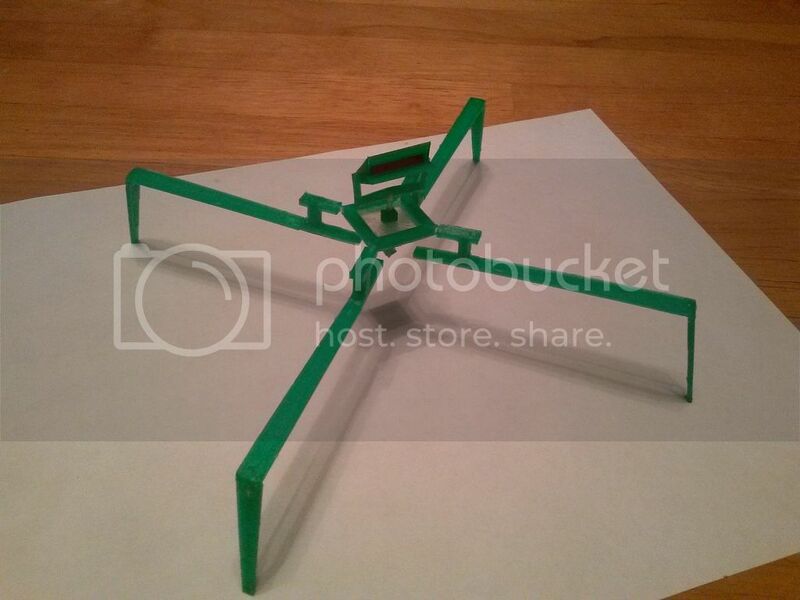 depending on input from everyone, I'll make changes and will print out some prototypes. I've got a few more ideas; I'll try to have some images up soon. If anyone else wants to contribute I would appreciate it. Very cool! I avoid challenge coins because I don't need more *stuff* sitting around, but I can't wait to see the finish project! Keep the ideas and pics coming guys! Just copy and paste the link. My iPad isn't cooperating with the photo insert button. I could definitely run with that! Thanks for posting it up! If anyone else has any ideas, Be sure to post them. I can start mocking up the flipside! That's awesome. Maybe switch where the years are and "Sector"
I really dig that front and the back design! I say go with that. Be sure to check my thread all about this build elsewhere in the Fan Art Forum!